NDAs are the first step for almost every deal — but many deal professionals overlook their importance. An NDA (non-disclosure agreement) is a legal document that protects any confidential information, and the nature of the discussions, from being disclosed to a third party. Proper management of the NDA can provide both sides with an early indicator of what the entire negotiation process will be like. Cavalier treatment of the NDA could also result in legal headaches down the road. 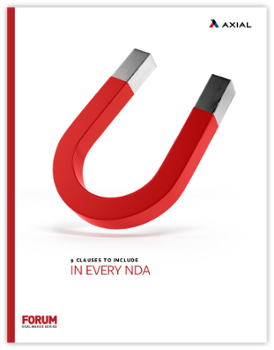 Read this guide to learn the nine clauses you should include in every NDA.